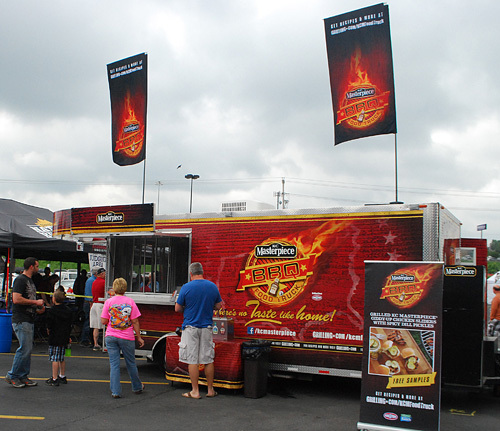 The Sam's Club BBQ Tour rolled into Knoxville this weekend. 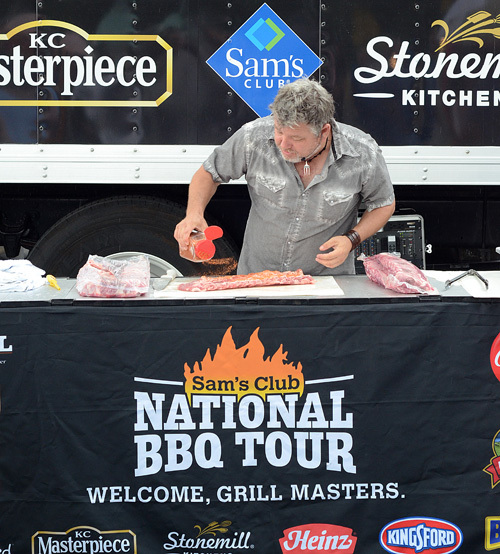 The Sam's Club BBQ Tour is tournament style set up of KCBS BBQ competitions across the country and boasting half a million dollars in prize money. 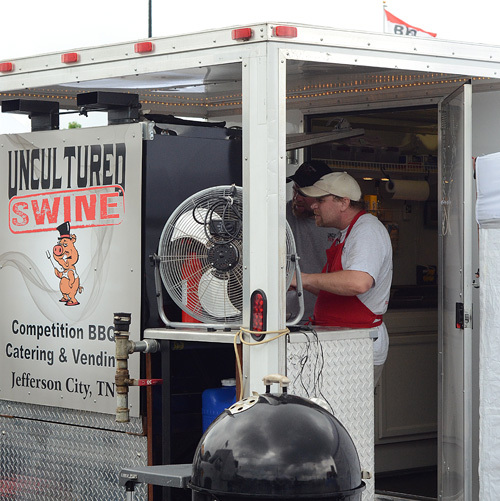 750 BBQ teams compete in regional events, hoping to move on to the regional semi-finals and ultimately, the national championships in Bentonville, AR. 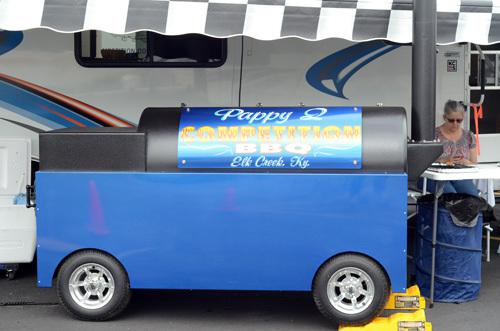 For most BBQ contests, you have to check, double check, and triple check your supplies before going to the tournament site. If you forget something, you're out of luck. This contest was held in the parking lot of a Sam's Club AND a Walmart - you could walk 100 yards and get anything that you needed or forgot! 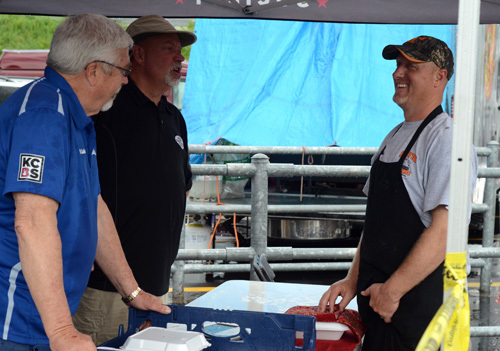 With the Knoxville area having KCBS BBQ competitions three weeks in a row (Rocky Top last weekend, Sam's Club this weekend, and Bloomin' BBQ and Bluegrass - Sevierville next weekend) it was no surprise that there were a lot of familiar faces. House of Q travels in style, I could get used to this. Love this set up, don't you? Teams actually socialize much more than you'd think. It's not all secretive and trash talk like you might see on reality TV. Always good to see the Brethren banner flying. 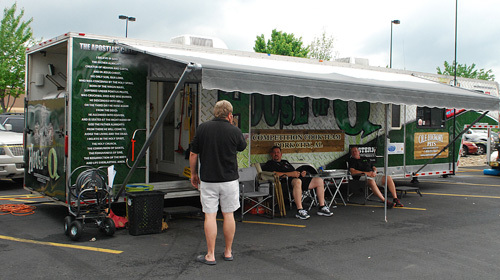 One of the two BBQ forums that I follow. 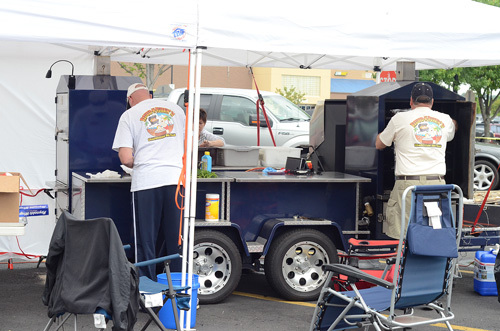 A wide variety of cookers invaded the Sam's Club parking lot, from back yard grills to high dollar rigs with all of the frills. 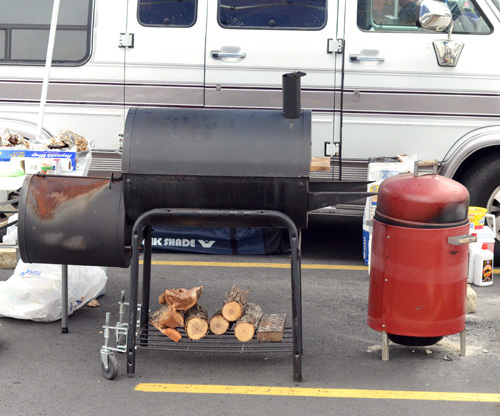 A backyard offset and a bullet smoker, I always pull for these teams. 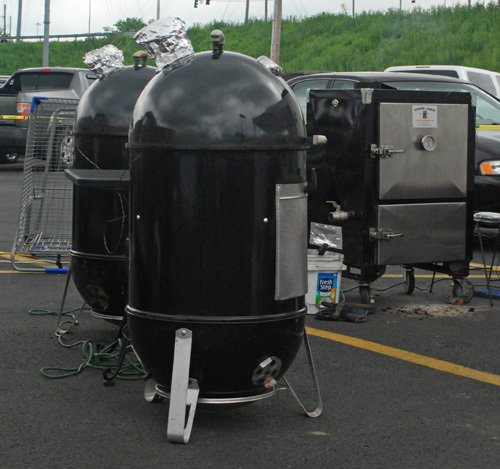 Two Weber Smoky Mountains and an insulated cooker. Team Rub Me Tender's custom made rig was pretty sweet. A nice pair of Stumps, Larry Doolittle would approve. 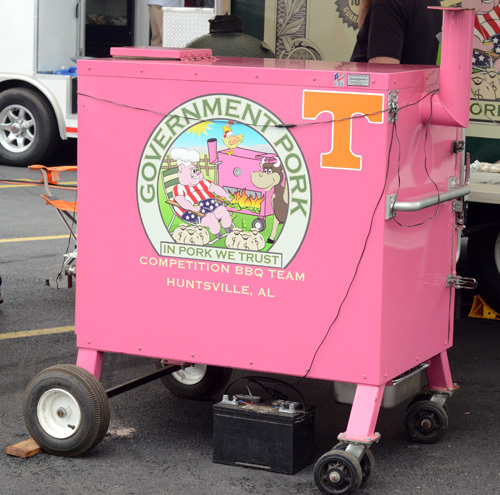 Government Pork's cooker is pink in support of fighting against breast cancer. The Retired and Rubbin' It team used a sweet Pitmakr. George makes nice rigs. 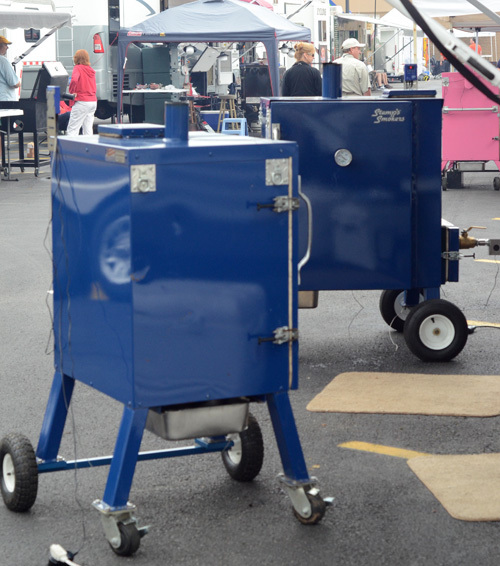 Pappy Q from "Nonesuch, KY" used a stylish Jambo enclosed smoker. 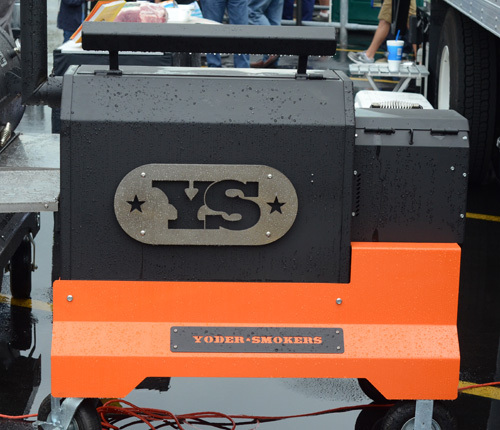 Troy Black's Yoder Smoker had just the right color trim for Big Orange Country (aka Knoxville). 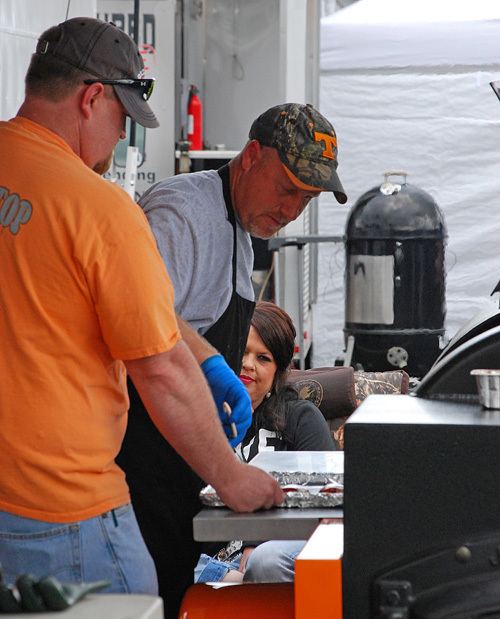 Different BBQ contest, same song. Storms decided to show up just in time for turn ins. 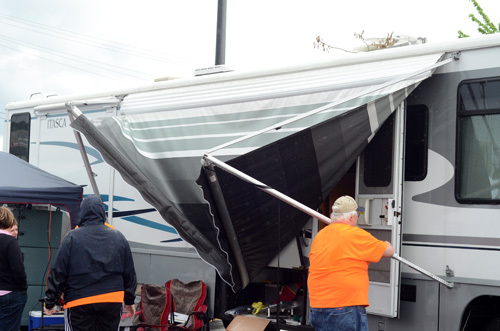 Thanks, Mother Nature, NO Q FOR YOU! 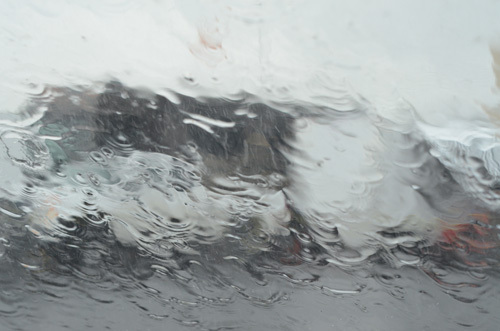 I sought shelter in my car at one point. 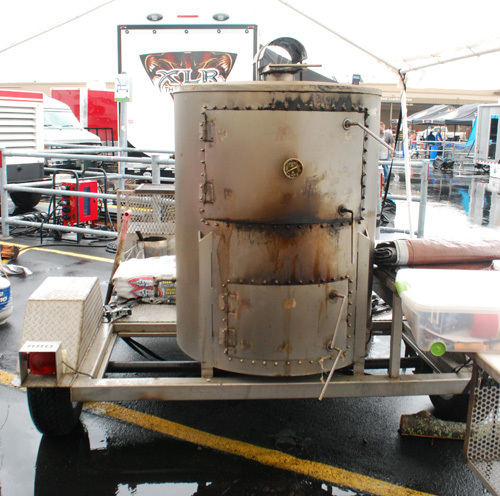 This was 5 minutes before brisket turn in. 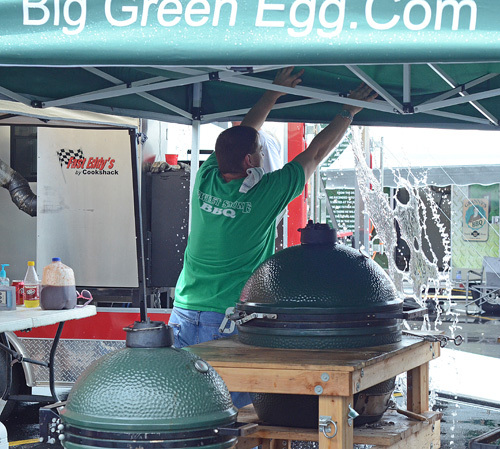 Sweet Smoke BBQ clears the accumulated water from the canopy. Know why? 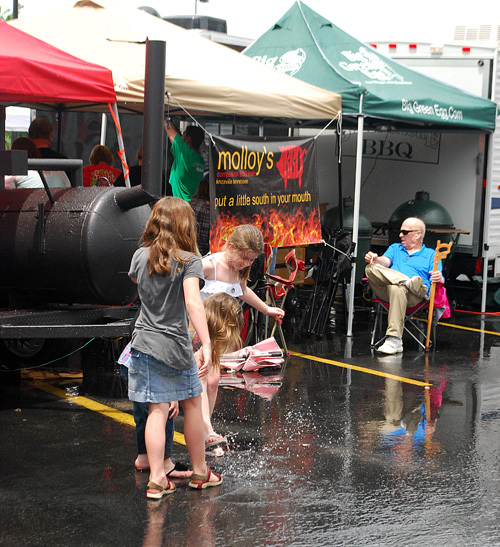 Not everyone hated the rain, these three kids were having fun splashing in puddles. 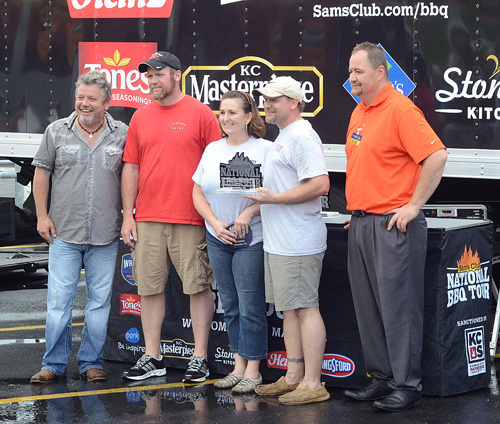 Because each of the Sam's Club BBQ Tour stops are held at a Club, I think these contests get a lot of "walk up" visitors that had no intention of going to a BBQ contest. 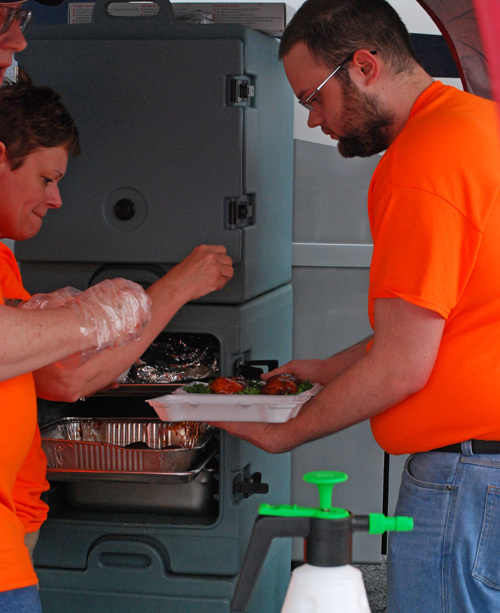 The Tour accommodates them with a few interactive events. 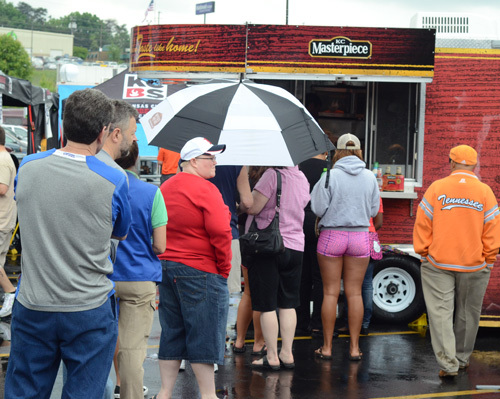 The KC Masterpiece Food Truck was there serving up free samples of Chicken Sliders with Spicy Pickles. 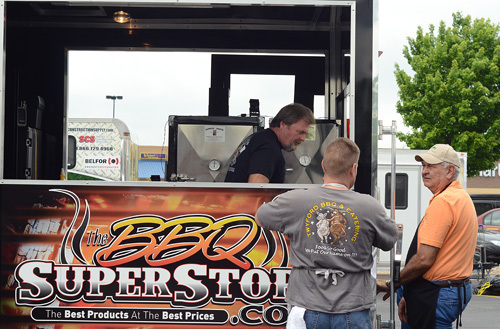 Jason from the KC Masterpiece Food Truck discusses grilling with visitors. Even the bad weather didn't keep the crowds away. 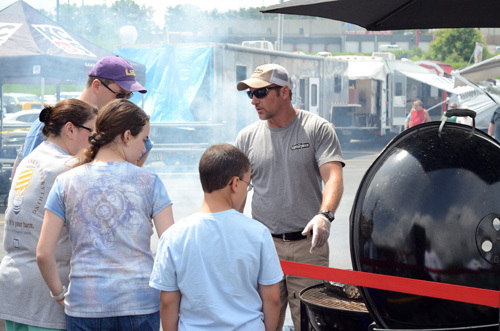 Author, competitive BBQ champ, and Tour Director, Troy Black was interacting with visitors, signing copies of his new book All Fired Up, and then gave the public a presentation on how they can make great BBQ in their own back yards. Troy demonstrating how to do St Louis style spare ribs. With a shot at moving on to the Regional Semi-Final, there seemed to be an extra bit of competitive intensity. 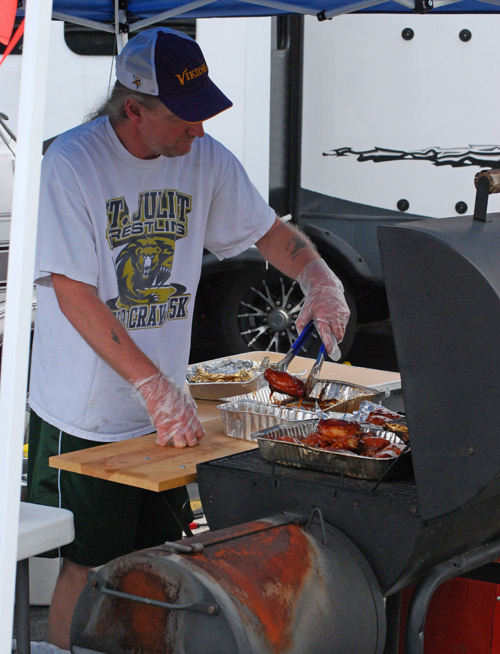 I saw a team take a bold chance and serve sliced breasts from whole smoked birds for their chicken turn in. 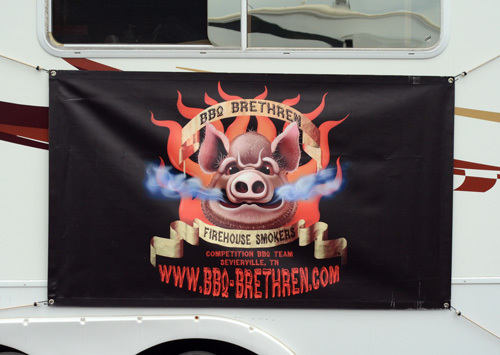 This won't surprise BBQ competitors, but the two teams that scored a perfect 180 in a category last week (one in chicken and one in brisket) last week didn't even get a top 10 call in those categories this week. 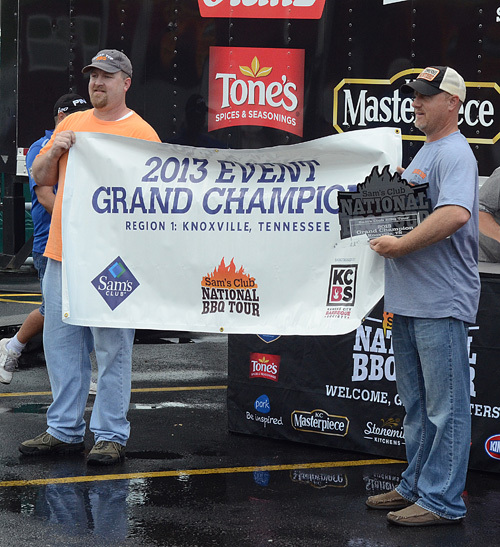 BBQ comp success is a fickle beast. Team Droopy Drawers finishing their chicken turn in. 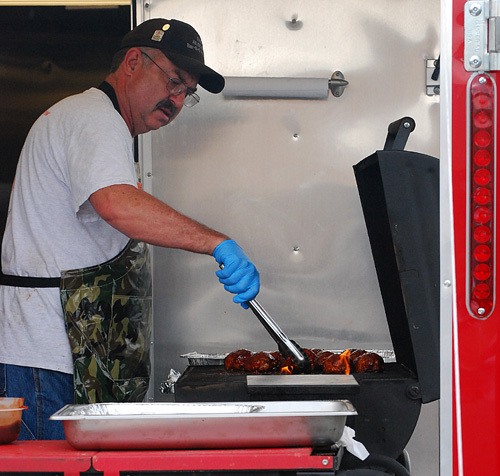 Poppa Rock's "team" was a one man show but he still got a 9th in chicken. 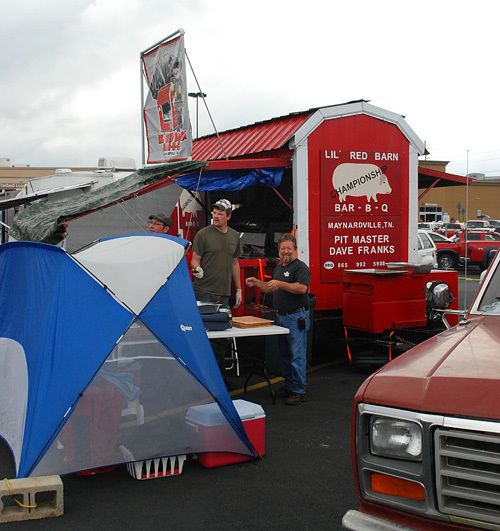 Algood BBQ (not a play on words, they are from Algood, TN) and their first place chicken. 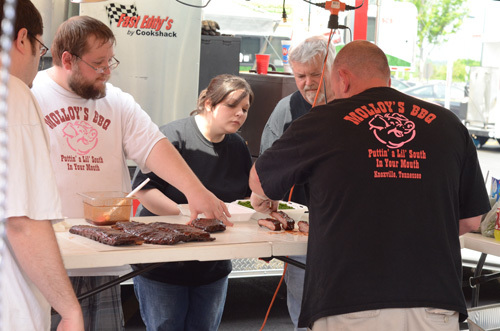 Molloy's BBQ agonized over which ribs to turn in. Turns out they picked right. You can tell it's last turn in....everyone is laughing and relaxed. 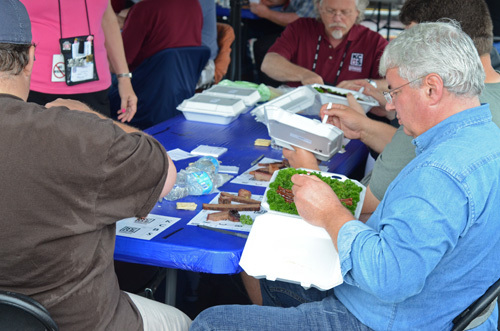 Judging isn't just fun and games, it's a serious duty. 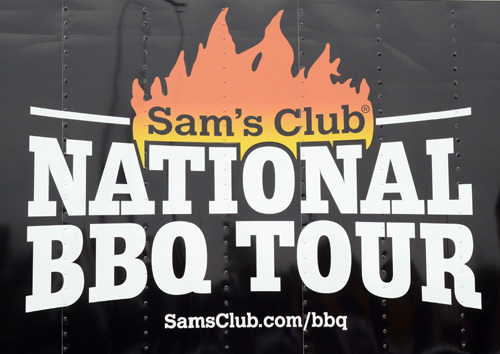 If the Sam's Club BBQ Tour is coming to a stop near you this year, I recommend checking it out. You can find the full schedule here.